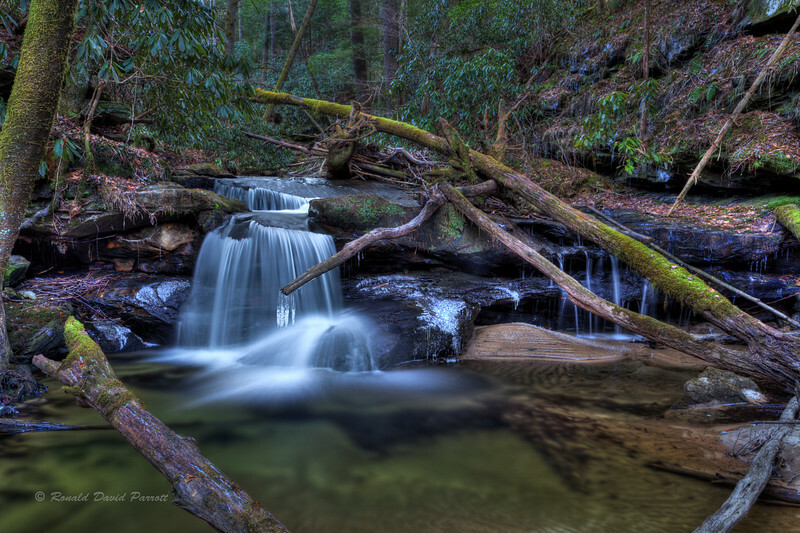 This is Parched Corn Creek Falls. It is located off trail in Red River Gorge. Look closely to find the icy claw guarding the waterfall. I managed to sneak past the claw shortly before sunset. Soon afterward I saw a huge fallen tree in my path. I bent over, walked under the tree trunk, tried to stand upright again, banged my head, and hit the ground. There was another fallen tree snuggled up beside the huge one. It was completely out of sight, and in the perfect ambush position. Who says trees have no sense of humor! Fortunately, I only suffered a minor injury to my pride.